Setting up the right process for apparel manufacturing could mean the difference between your dream collection and a waste of your time and money. Without experience in negotiating with manufacturers, there is a big chance of errors and delays. This is why so many designers end up unhappy, and part of the reason why many manufacturers have such a bad reputation. But, any manufacturer worth their weight should value your time and contributions to your project. You’re paying for their service, so you should be able to expect their best work. Here are four common dealbreakers to watch out for and circumvent so that you can develop a productive and successful relationship with your apparel manufacturer. Lateness – is your apparel manufacturing partner weeks late on their delivery? Whether you’re a clothing designer or an entrepreneur with a great idea, when it comes to manufacturing, timing is vital. As an independent creative professional, you make promises to your customers to deliver on their orders. There are very few circumstances where it’s acceptable to go back on your word. A late manufacturer is not one of them. Between scheduling photo shoots, creating lookbooks, and prepping your marketing, you’re busy. You need to make sure your manufacturer is on your side. It’s one thing if your manufacturer is a couple of days late due to unforeseen delays, but if they start to fall weeks behind in production, something needs to change. It’s possible that these delays could be prevented in the future. Speak with your manufacturer to establish time frames, contingency plans, and other ways to improve. You can avoid late deliveries or bottlenecks in your WIP by setting key benchmark dates. You should also make sure that you’re not at fault for delays. Remember every benchmark date you have set with your manufacturer should also have a second benchmark date for approvals. Providing your apparel manufacturing partner a timeline that includes pre-approvals can streamline the process to ensure all critical dates are met. Meanwhile, avoid changing project scope and ensure the apparel manufacturing partner has all necessary details. Also, just in case, always buffer at least three weeks between completion of MFG goods and delivery to retailers. Communication – is your manufacturer hard to get a hold of? As with any effective business relationship, good communication between all parties is essential. Poor communication can lead to delivery issues, wasted or misused fabrics, or worse – inaccurate final products. The last thing you need after taking orders is to receive a finished design that is all wrong. Without effective communication, a small hiccup can compound into a major headache, causing more significant issues. This could be avoided with a simple phone call. Before agreeing with a supplier, establish how frequently you’ll communicate. If possible, try to schedule phone calls and follow-ups in advance. Be sure to choose a manufacturer that is on the same page regarding how often you’ll communicate, when you’ll receive updates, and when to wait for your approval before moving forward. Consider setting up a routine WIP report to monitor what stage of production you’re in. Whether that’s a weekly call or email, or even a visit to the factory, you should receive frequent updates from your manufacturer regardless of what’s been completed. Legal – do they refuse to sign a contract? Ask anyone with a successful business, be it in clothing design, hospitality, or any other industry, contracts are essential. They dictate the terms of your relationship with your manufacturer and can provide both peace of mind and protection from disputes. 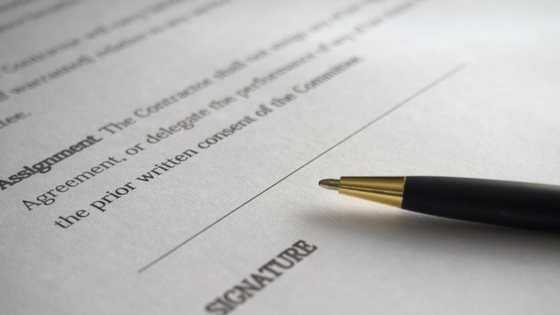 Even if you’ve dealt with a supplier in the past, you should ensure that they sign a contract. After all, it’s your time, investment, and most importantly, your work at stake. There have been all sorts of horror stories where apparel manufacturing businesses have made significant errors or taken advantage of small business owners and gotten away with it just because there was no contract in place. A contract can protect your design, the reputation of your brand, and everything you’ve done to reach this point. So, if your manufacturer is refusing to sign a contract, ask yourself if they’re the right choice for your project. It may sound like common sense, but apparel manufacturing businesses in this industry are notorious for avoiding contracts. While there are tolerances and industry standards that are commonplace in the industry, it’s crucial that someone is held liable if there’s a mistake or significant error. At Indie Source, we sign contracts with all of our clients. There’s no reason you can’t expect the same treatment from any other apparel manufacturing company. Just like you have insurance on your $15,000 vehicle, shouldn’t you have one on your production order that’s equally, if not more expensive? Quality – Is the apparel manufacturing company well equipped for your project? If your apparel manufacturing partner doesn’t have experience with your particular design or style, you risk running over your budget and ending up with a line that is far worse quality than you expected. 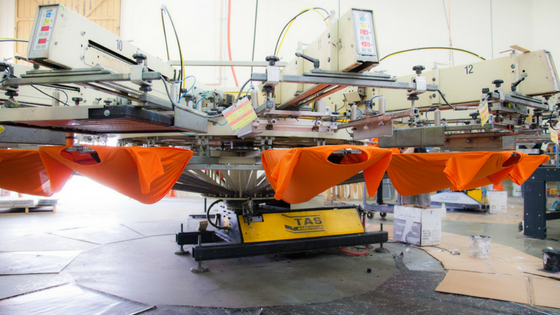 Make sure that your apparel manufacturer is well-equipped for your project. Verify that they have the expertise they need to produce your design the way you intended. Otherwise, you risk compromising on details or receiving a final product that looks nothing like you’d planned. It might be a red flag if they don’t ask any questions and gloss over finer details to secure your down payment and get you out the door. Ask to see recent projects, samples, or case studies similar to your project. Seeing an approved sample of theirs can help to protect you from any confusion or issues in production. Make sure you are happy with fabric, fit, and sewing quality. Finally, ensure that they’re aware of your expectations and understand that your final product should meet the same standards as the approved sample.